Microsoft and Amazon soared to record highs April 27, 2018, while Intel jumped to the highest in more than 17 years. 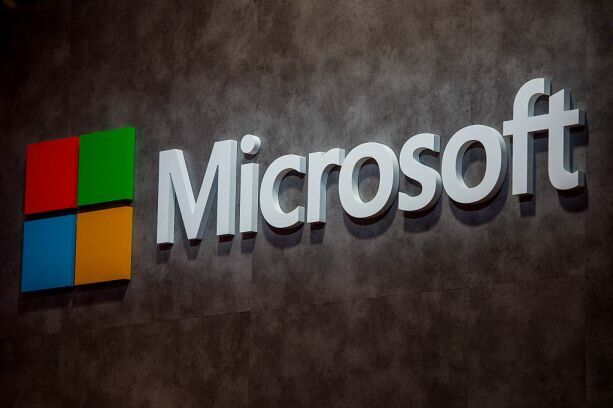 Microsoft has quietly unveiled new parameters for its outside counsel, and, in an effort to step away from the billable hour, announced it hopes to shift 90 percent of its legal work into alternative fee arrangements within two years. David Howard, a corporate vice president and deputy general counsel at the company, wrote online Friday that Microsoft wants to establish a “new type of relationship” with the law firms handling its most important work. During the past year, Microsoft has been re-evaluating how it works with law firms, Howard wrote. It made several key decisions in the process, including to hire more law firms on a retainer basis and to work more closely with them on their diversity. He also said the company is rapidly moving away from the billable hour, and named a dozen law firms that have embraced alternative fee arrangements, such as fixed fees, that Microsoft views as its strategic partners. He added that Microsoft will have a “competition” among firms for its most important matters, and the law firms most closely aligned with its goals — though not necessarily the lowest bidders — will be retained. One of the goals mentioned in the blog post is diversity. Microsoft’s legal department has long been outspoken about its preference for law firms that display gender, racial and other forms of diversity. In the last two fiscal years, the litigation group has hired a firm with a “diverse first or second chair in 35 of the 38 matters large enough to be subject to bidding,” Howard wrote. The company hopes to build on that momentum by creating affinity groups so that lawyers from diverse backgrounds working for it can connect with one another, he wrote. Much of the changes Microsoft introduced were sparked by law firms themselves, according to Howard. “We … learned that firms were not only more open to discussing work on an alternative fee basis, many are embracing it, and have even established internal groups whose sole function is to help with structuring matters this way,” he wrote. Although Microsoft is aiming to move most of its work into AFAs, the billable hour is still the most widely used metric by one analysis. A 2017 report by Georgetown Law’s Center for the Legal Profession, found that AFAs or “pricing strategies that are based on fixed-price or cost-plus models that make no reference to billable hours in the calculation of fees” account for only 15 to 20 percent of all law firms’ revenues. The law firms that Howard wrote have been selected to be strategic partners with Microsoft as it implements its new parameters include Arent Fox, Covington & Burling, Davis Wright Tremaine, Fish & Richardson, Greenberg Traurig, K&L Gates, Latham & Watkins, Merchant & Gould, Orrick, Herrington & Sutcliffe, Paul, Weiss, Rifkind, Wharton & Garrison, Perkins Coie, Sidley Austin, Simpson Thacher & Bartlett. All hail from the AmLaw 200 — the country’s largest 200 law firms — save Merchant & Gould, an intellectual property firm that has been working for Microsoft since at least 2005, according to its website. Notably, K&L Gates is a successor to the law firm founded by Microsoft co-founder Bill Gates’ father, Bill Sr.
Howard was not available to comment on Monday, but we’ll file an update when we speak with him. Gabe Friedman is a former writer and editor for Big Law Business.